I am obsessed with gingerbread men! 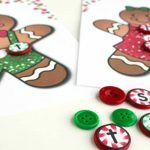 They are so adorable and make for creating some fun learning activities like this Gingerbread Sight Word Game. 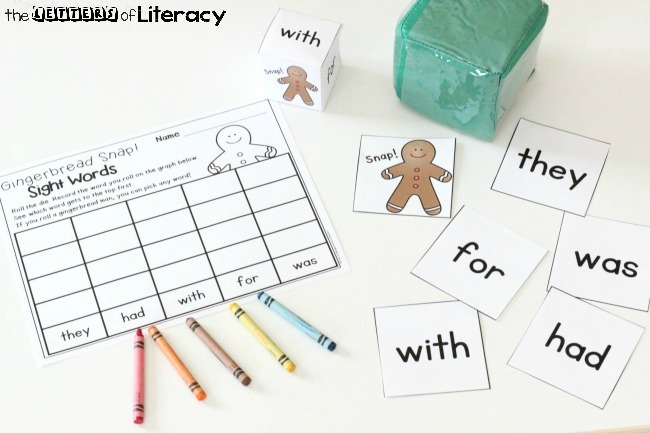 This easy-prep activity is perfect for practicing sight words with your students. The best part is…it’s Editable! 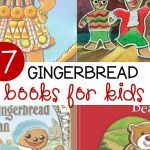 *Pair this with our Gingerbread Centers and Activities for Pre-K and Kindergarten! 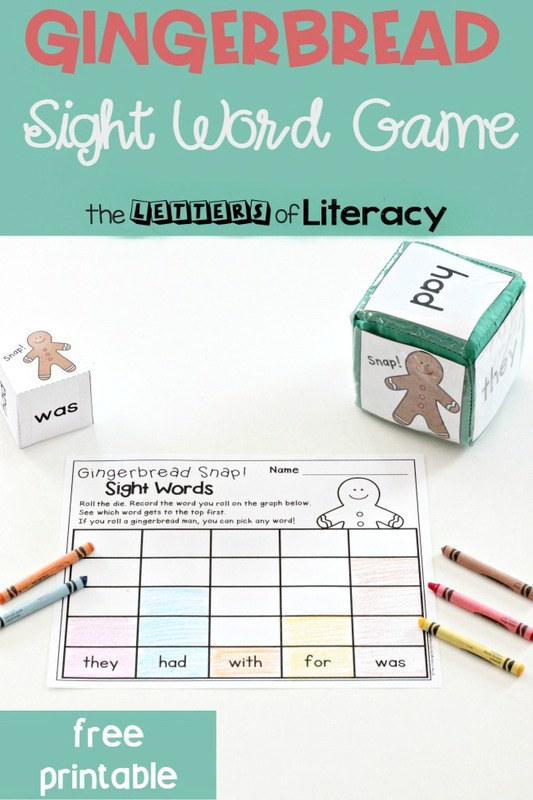 This Gingerbread Sight Word Game is suitable for students in Kindergarten and 1st grades! You can use this in your literacy center or put children in pairs to play with a partner. Type in 5 words in the sight word generator sheet that you would like your children to practice. The words will auto-populate on the sight word recording sheet as well as both the printable die and pocket die cards. Helpful Tip: Print multiple sets of recording sheets and dice for another set of 5 words! 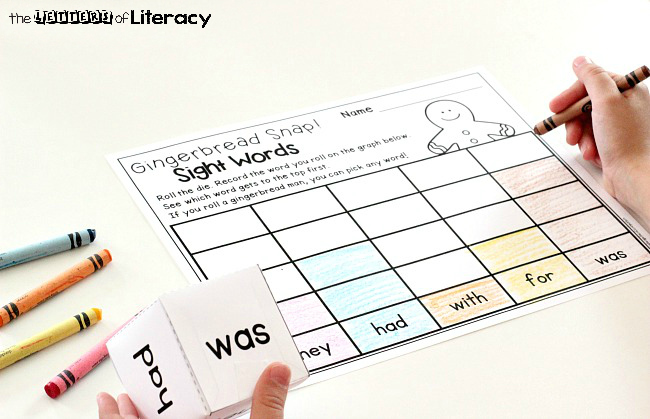 Simply print our Gingerbread Sight Words Recording Sheet, printable die and pocket die cards. We recommend laminating the printable die and pocket die cards for easy assembly and durability. You might also want to laminate the recording sheet and have students use dry erase markers for recording their answers. 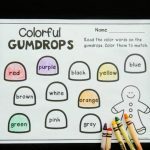 Grab some crayons, colored pencils or markers if you decide that children will use the recording sheets as one time use. This can be played as a one person activity or in pairs. Students will use either the printed die that’s included in our free download or they can use a pocket die like our favorite one here. Children will begin play by rolling the die. They will say the word on the die and then color in the square above the sight word that was rolled. 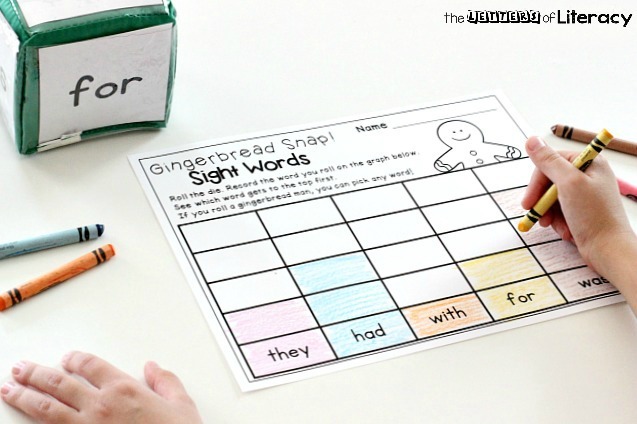 If a gingerbread snap card is rolled, then the student gets to choose any word on the recording sheet to color in. The game continues until one of the sight words reaches the top of the chart first. Another variation for playing is the game continues until the player fills his/her chart up completely. Keep in mind that if a student doesn’t know the sight word and needs to ask for help, they will lose their turn for the round. For early learners who are learning the letters of the alphabet – type in 5 letters in the editable generator page. 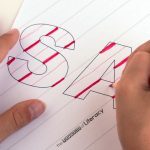 Students can practice their letters and sounds this way! 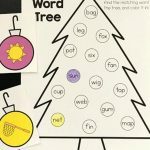 Students who need a little extra challenge – Print out CVC or CVCe words for students who are beginning to sound words out. 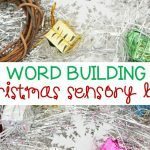 If you are ready to grab our FREE Gingerbread Sight Word Game, then click on the large, blue button at the very bottom of the post! 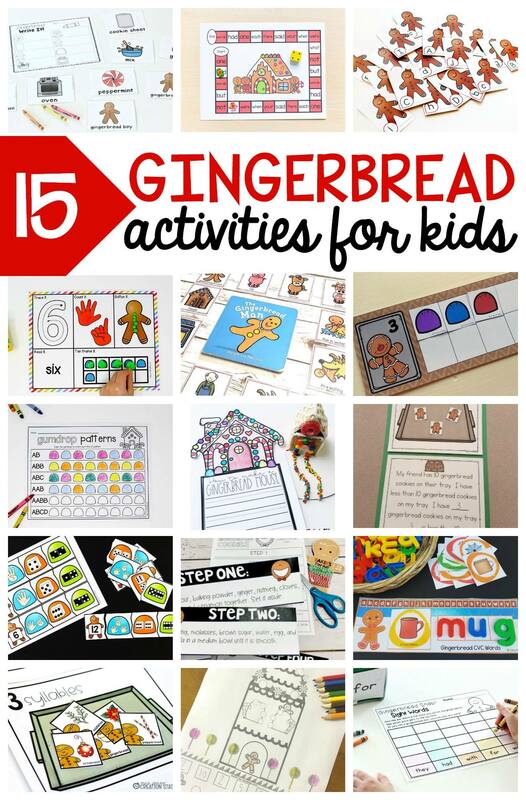 Then, hop on over to see even more gingerbread activities from some of my favorite kid bloggers!